With our focus on positive communication, we engage students not only in becoming effective speakers, but also creating healthier interpersonal relationships, embracing difference, and managing conflicts productively. We rely on our alumni and friends to support our activities, attract and retain scholars and students, and provide opportunities for students to learn and develop. Moreover, we depend on your support to help us educate our students about community engagement and provide them with knowledge to develop personal and professional networks. Our department’s continued success is contingent on the generosity of our supporters. No matter the size, your gift can provide opportunities for our undergraduate or graduate students. Please make your gift to the Applied Communication Department today. Recognized as a Department of Excellence, the University of Arkansas at Little Rock’s Applied Communication Department has award-winning faculty and undergraduate and graduate programs known for their focus on positive communication. We develop our students to foster better social worlds, through active reflection about their own and others’ communication practices. Whether it is through public speaking, communicating in another culture, or managing or leading others, our students are making a difference. To support ongoing excellence in undergraduate and graduate education, our Department has created a list of funding opportunities, including two specific scholarship and student success endowments, undergraduate student support areas, and graduate student support areas. Angie Laird Brenton Memorial Scholarship – The departmental advisory development board set up a student scholarship fund in 2015 in memory of Dr. Angie Laird Brenton, who served for several years as Dean of the College of Professional Studies, as well as a faculty member in the department, before she died in 2013, at the age of 60. Allan Ward Endowment for Student Success – The department set up a fund in 2016 in honor of Dr. Allan Ward, long-time faculty member and now Professor Emeritus from our department. 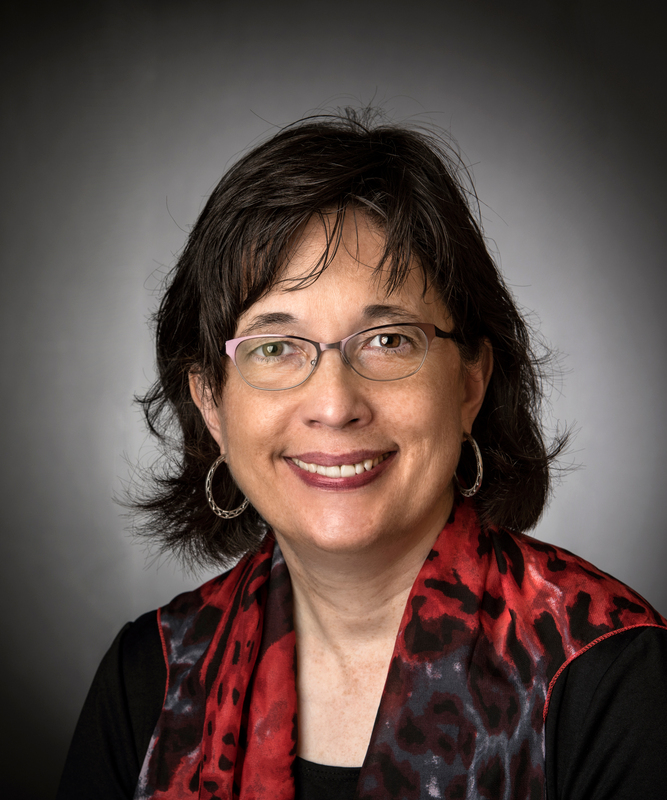 Dr. Ward asked for the funds to be used to support student participation in high-impact initiatives such as undergraduate and graduate research, study abroad, and internships. Lance Eric Thompson Memorial Endowed Scholarship – This scholarship is created in memorial of Lance Eric Thompson, for students who are majoring in Applied Communication and have an interest in the visual, literary, or performing arts. For more information about Lance and this scholarship, read more here. 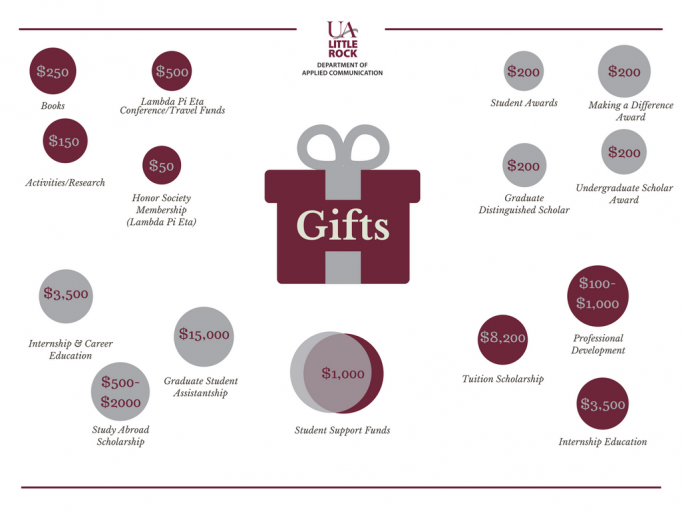 Funds given to support undergraduate students are used for purposes such as those listed below. Lambda Pi Eta —$50-500 supports the activities of the Communication Student Association (Lambda Pi Eta), and provides needed new member scholarships. Student Awards – $200 supports the annual undergraduate Distinguished Scholar and Making a Difference awards, given out to worthy students in the department. Study Abroad Scholarships – $500-2000 can help a student travel to our annual study abroad locations such as Trinidad/Tobago and Argentina. Internship and Career Education— $3,500 provides a stipend to one undergraduate student for a semester-long internship. Tuition Scholarships —$8,200 pays tuition for one year for one undergraduate Applied Communication major. Funds given to support graduate students are used for purposes such as those listed below. Professional Development Fund— $100-$1,000 supports travel for graduate students to present at discipline-specific conferences. Student Awards – $200 supports the annual graduate Distinguished Scholar and Making a Difference awards, given out to worthy students in the department. Student Support Fund —$1,000 gives a one-time award to a deserving graduate student. These funds can be applied toward fees, books, software, or other computer needs. Graduate Student Assistantship —$15,000 supports tuition and stipend for a graduate student assistant for one year.